Fuse00 is a proficient retexture artist who has created mods for several different games. 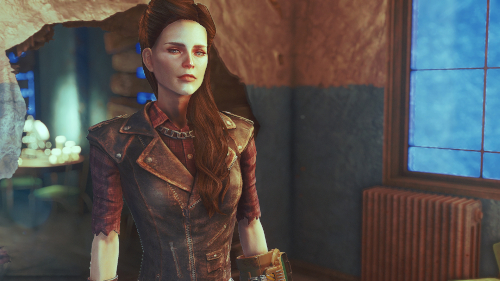 Her mods have accumulated millions of downloads across Fallout 4, Skyrim, Witcher 3, and Kingdom Come: Deliverance. Today we are happy to talk to Fuse00 about her work, gaming, and modding in general. <br /><br /><br />BigBizkit: Thank you, Fuse00, for having a chat with us. To start this off, why don’t you tell us a bit about yourself? <br /><br />Fuse00: My name is Maria, I was born and live in Moscow, Russia. <br /><br />I have been fond of video games ever since my early childhood, but it just so happened that my education and work have nothing to do with the gaming industry. At this moment, I work for a telecommunication carrier, in the maintenance operations department of communication circuits for foreign telecom operators. <br /><br />To those who might be unfamiliar with your work, how would you describe what you do? <br /><br />Well, I make modifications for games, mostly related to face/body textures and 3D modeling. <br /><br /><br />You joined Nexus Mods about five years ago. Do you recall what drew you in initially and what is it that makes you want to stick around and be an active member of our community? <br /><br />I started to be interested in modding (first as a user, not as an author) a long time ago, around the time of my passion for Morrowind. In those days, it was quite difficult to find an adequately systematic and informative source for mods on the internet. I constantly had to surf the internet in search of new content on different websites (sometimes of questionable quality), which, of course, was not very convenient. <br /><br />I can not remember now how and when I eventually learned about Nexus, but I still do not know of a better alternative to this site. For me it's convenient in every way: an impressive amount of downloadable content, a user-friendly interface, and the most important thing - most of the mods are uploaded here by the authors themselves, which allows us to promptly get answers to questions we’re interested in, download updates, etc. All of the above mentioned is true for both downloading mods and uploading it. <br />You have made various impressive retextures and visual improvement mods across several different games. Would you say that there are any notable differences in your approach to creating textures for one game versus another? <br /><br />Well, the interface and options of modding tools may vary from game to game. For example some games are provided with very detailed and user-friendly modding tools, in contrast to others, which are provided with an executable file and a list of parameters for Windows command string only. Then some games do not have any modding tools at all. <br /><br />So the process of packing and unpacking game resources can be more or less complicated depending on modding tools, but the process of texture drawing or editing is pretty similar every time. <br /><br />I prefer to use a polypaint method (drawing on the 3d model, or, to be more exact, on the vertices of its polygons). In case I do not have an access to the model, I just edit texture maps in Photoshop. 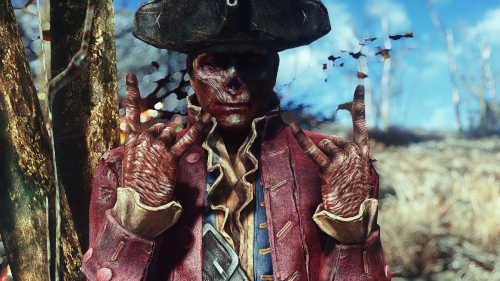 <br /><br /><br />Between your body textures for Fallout 4, and the various customisation options you added for Geralt of Witcher 3, as well as Henry of Kingdom Come: Deliverance - is there any particular mod of yours that you are most proud of? <br /><br />Creating this was a very interesting process for me. <br />What do you find the most inspirational about the modding community as a whole? <br /><br />The opportunity to customize games according to your own taste, of course. Sometimes I like the game in general, but I don’t like some particular detail of it, and mods allow to fix it. And sometimes mods allow to completely redo the game one way or another. I only wish more developers would support mods, since modding improves games so very much. <br /><br />As for an inspiration itself, occasionally, I just want to create and share something, even if I’m not planning to use it myself. This applies to almost everyone of my mods for Skyrim and Fallout. For some reason I’ve never actually played these games for long, I just like to create content for them. <br /><br /><br />You said you like the ability to customise your games: what kind of games do you generally prefer to play and why? <br /><br />I play almost every genre, except for racing and RTS/strategy/simulators. But although I prefer games with non-linear stories, I like to customize the personality of characters I play. <br /><br />That is why I like RPGs and interactive movies like games from Telltale or Quantic Dream. I actually like RPGs better because they are bigger and require more time to complete, and also add some challenge such as quests and combat. So my favorite genre is definitely RPG. <br /><br /><br />What are some other hobbies other than modding and gaming that you have? <br /><br />I don’t have any really… *unless TV series count - I watch a lot of them I used to like drawing and photography when I was younger, but I dropped it years ago. <br /><br /><br />While I, personally, have made some mods, creating textures is somewhat of a closed book to me. How did you get started and do you have any tips for people who would like to get the hang of creating their own textures? <br /><br />In case we are talking about the fundamentals of creating textures, the first thing to do is to learn the basics of what textures actually are (because I personally didn’t have this knowledge when I created my first mod, which made it extremely difficult to understand, why the result was so different from my expectations). <br /><br />Every modern game uses more than one texture map for every surface. You need to understand the differences between diffuse map (color), normal map (relief), specular/subsurface scattering, cube maps etc. There is not much to it, you just have to know what every texture type is responsible for. 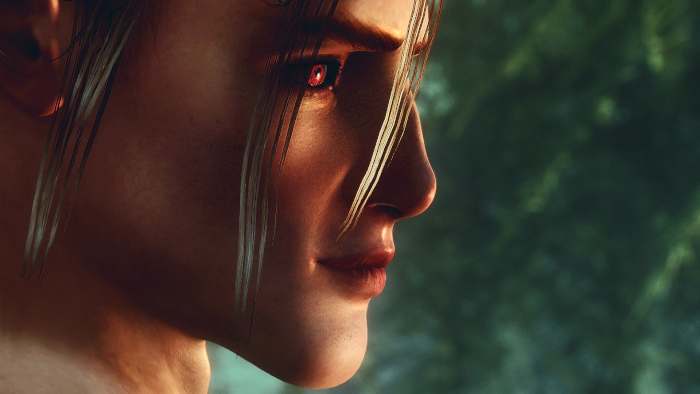 <br />The first mod I’ve ever made was a texture for Geralt’s face in The Witcher 2. 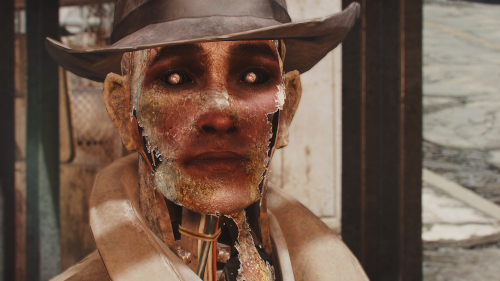 I hate how old he looks and wanted to make him a bit younger by removing wrinkles from his face I've never been able to find anything decent among the mods which have been released already and that is why I decided to create my own one. So, I unpacked his textures and found the one which was colored and looked exactly like a photo of his face. I decided that that is all I needed, airbrushed out his wrinkles, packed it back into the game and was very confused by the fact that the wrinkles were still present on his face… As I found out eventually, I only edited the diffuse (color) texture map, but I ignored the normal map, and that is why the relief of wrinkles had still remained the same, even if the flat colored picture of his face wrinkles was the same color as his skin. So don’t neglect the theory! <br /><br />Everything else is a matter of practice and skills in digital graphics in general. I highly recommend the usage of a graphic tablet for any operation in graphical editors – it is way more comfortable than a mouse and the result will be much better. <br /><br />In the specific case of face texture editing, I can recommend to check some makeup and face paint tutorials on Youtube, because those are very similar processes and it is helpful to understand how to sculpt the face with color and make the face shape look visually different, which face areas should be highlighted, and which ones should be darkened etc. <br /><br />As for the tools I use for texture creating, I personally prefer Photoshop and Zbrush. 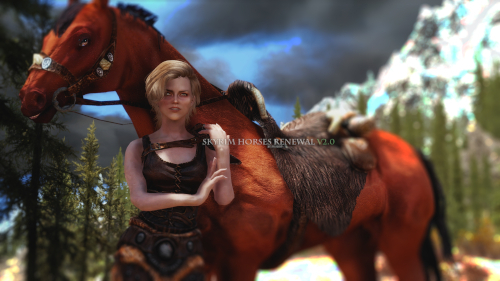 <br /><br /><br />Conversely, are there any modding skills, e.g. programming/scripting, level-design, etc. that you feel you are lacking, but would love to have? <br /><br /><br />Is there anything else you would like to say to the community? <br /><br />Keep creating guys! You make games so much better with your work! <br /><br /><br />Thank you very much, Fuse00, for taking the time to answer our questions and best of luck for your future endeavours. <br /><br />Thank you, too!